Restore your Mercedes-Benz and your peace of mind. 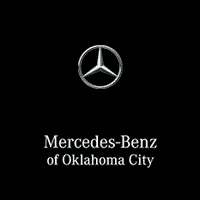 Although no-one can predict or be prepared for an accident, we want to help bring you the customer service and repair you can only receive from a Mercedes-Benz Certified Collision Center. We have partnered with G.W. and Son Autobody, a certified Mercedes-Benz Collision Repair facility, to make sure that happens. As the owner of your Mercedes-Benz, it’s your right to choose where your vehicle is repaired. Your insurance company may recommend another repair center that is not a Mercedes-Benz Certified Collision Center. However, only the expertly trained technicians at G.W. and Son Autobody can repair your vehicle using only Genuine Mercedes-Benz Parts backed by the Mercedes-Benz Limited Warranty. With a range of approved tools, equipment and repair methods, G.W. and Son Autobody has what it takes to bring your vehicle back to its pre-collision condition. Only Genuine Mercedes-Benz Replacement Parts are manufactured, approved and tested to meet the exact specification of each Mercedes-Benz vehicle and that is what will be used to repair your vehicle in the unfortunate event of an accident.